Rosaura “Rosie” Jimenez was a young woman in the Rio Grande Valley of South Texas who died obtaining an unsafe abortion. She could not afford to pay for one out of pocket and was forced to turn to other unsafe alternatives. Rosie was a scholar and a mother to a 5 year old girl. Rosie was trying to get her teaching certificate when she passed. She wanted to create more opportunities for her and her family. She died with a $700 scholarship in her purse which she could have used to obtain an abortion. She wanted to use that money for her family’s future, and she should have had that option. Rosie was forced to turn to unsafe alternatives because she was one of millions directly affected by the Hyde Amendment. The Hyde amendment was created by a white, woman-hating, racist man named Henry Hyde in 1976. The Hyde Amendment successfully blocked Medicaid from covering abortion even when a woman’s health is at risk. This means that even though abortion is technically legal, it does not mean that it is accessible. Before the Hyde amendment was passed, Rosie received a legal, and safe abortion covered through Medicaid. Rosie’s story is not the only of her kind. This amendment has hurt so many people and their families. Hyde specifically intended on targeting the most marginalized people and specifically poor women from obtaining abortions. He was quoted saying, “I certainly would like to prevent, if I could legally, anybody having an abortion, a rich woman, a middle-class woman, or a poor woman. Unfortunately, the only vehicle available is the…Medicaid bill.” People denied abortion insurance coverage have been forced to carry their pregnancy to term, pay out of pocket, and it forces many to turn to unsafe options. Obviously this legislation clearly targets poor women like Rosie. Low-income, people of color, young people, and immigrants disproportionally rely on Medicaid more than any other group of people. The Hyde amendment is racist, classist, sexist, and harmful to Americans. This piece of legislation needs to be abolished. Obtaining a safe and legal abortion is a right every American should have-not just those that can afford it. No matter the status of abortion in any state, someone with the financial means will always be able to get one. People well off will always have the means to travel out of state/to other parts of the state if necessary. Obtaining an abortion in Texas requires at least two days. There is an unnecessary waiting period made specifically to make women question themselves. That means there is time off of work, perhaps childcare costs, travel time, a hotel room, and a lot of money. In Texas there are only 7 cities that have clinics that provide abortion care. There are a few clinics in El Paso, Austin, San Antonio, Fort Worth, Dallas, Houston, and exactly one in McAllen. Texas is a big state. This means most women need to find transportation and lodging in order to even get an abortion. These costs don’t even include the time it may take to obtain the abortion as all clinics do not always provide abortions every day or even every week. All of the time and cost it takes to have an abortion obviously puts pregnant people in a time crunch in a bad position. In Texas, House Bill 895 was recently introduced during this most recent legislative session. It would provide abortion coverage for Texans covered through Medicaid. Medicaid covers 20% or 1 in every 5 women between the ages 15-44. This would be a major win for families, people with uteruses, immigrants, young people, poor people, and people of color. Though this bill makes sense to progressives, we have to remember that most people DO NOT want people to have their own bodily autonomy. 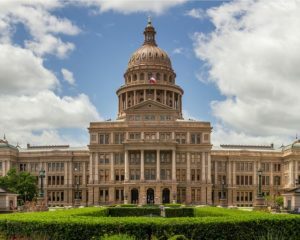 As a part of URGE’s San Antonio City Activist Network, on March 28 other activists and I traveled to the Texas state Capitol to lobby to Texas senators. Our goal was to educate them on HB 895 and Rosie. We asked and encouraged them to support this bill. After speaking with staffers, we mostly received positive feedback. One staffer said they hadn’t even heard of the bill. My team and I did receive some negative feedback from Donna Campbell’s office. She doesn’t care how many living people die trying to obtain an abortion because she is a hard-core anti-choicer. Her staffer made it clear she would not support this bill. We are constituents of people like Donna. There are many anti-choicers in positions of power across Texas and the country. We have the power to run anti-choicers out of office and we need to utilize this power. Take action to lift abortion coverage bans with All Above All by telling congress we support people trying to obtain safe abortions.